In order to properly gather and prepare important materials for an upcoming court case, it is often necessary for you to hire a San Bernardino County licensed investigator. Trial preparation is an essential part of the judicial process. 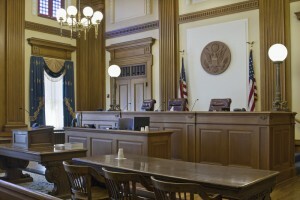 It gives the judge and jury a complete picture, and the evidence presented during the trial can make or break a case. Each trial is different by its own intrinsic nature, which means that trial preparation for every case will vary slightly. A good San Bernardino County licensed investigator will be able to put together a strong presentation for you, regardless of the details. As trial preparation tasks often differ, so too do the outcomes. However, effective trial preparation is vital to proving your side of the story. Hiring an attorney is often recommended during litigation, but too many people find out the hard way that a San Bernardino County licensed investigator is necessary as well. Many clients mistakenly think that their attorney will prepare the details of the case before it goes to trial. However, the job of an attorney is not the same as a private investigator. While the attorney does everything in his or her power to prepare the materials given in court, a San Bernardino County licensed investigator is usually better equipped, more dedicated, and more easily able to prepare a solid legal argument on your behalf. Knowing when and how to launch a trial preparation investigation is essential to winning your case. Because San Bernardino County licensed investigators are able to gather additional evidence for a trial, they are a common part of successful litigations. In fact, a thorough San Bernardino County licensed investigator can provide an array of pre-trial materials in support of your case. That is why finding and hiring a San Bernardino County licensed investigator as soon as possible is so important. For more information on having trial preparation conducted on your behalf, or to hire a San Bernardino County licensed investigator immediately, call (951) 800-8232. We provide you with a free initial consultation and price quote for our services.